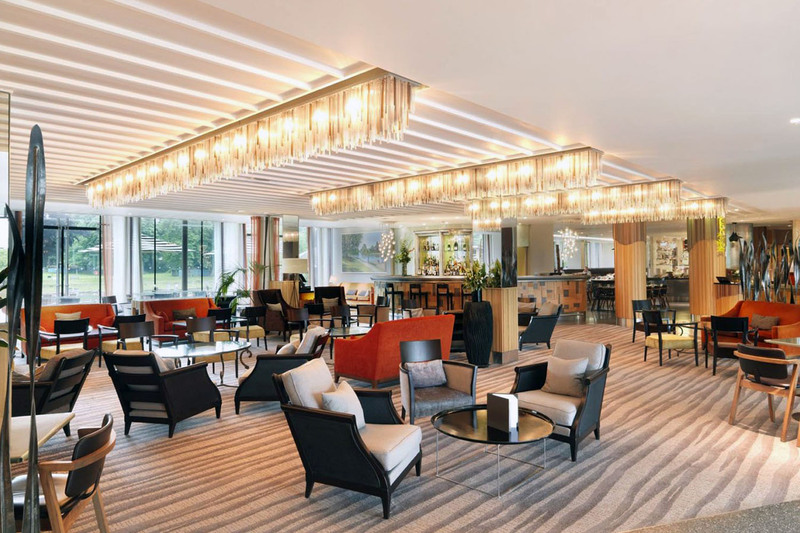 These customised Linear Chandeliers were used in the main reception areas of the Runnymede Hotel. Five glass colours were combined with separate light sources, providing direct and indirect lighting. MaterialsPowdercoated aluminium and coloured borosilicate glass.